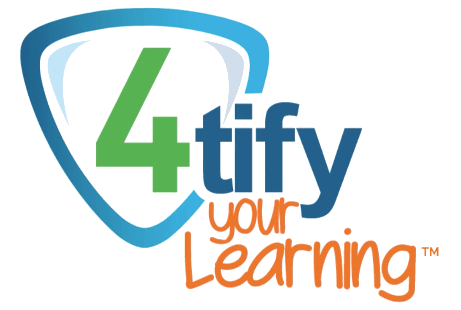 4tify your Learning™, a training reinforcement tool available exclusively on Thinkzoom, is a series of prompted exam questions and a video recap designed to keep training top-of-mind long after a training session is over. The goal is to to transfer knowledge from short-term memory to long-term memory and increase learning engagement. Emails are sent two days, two weeks, two months and four months after the course has been completed. The recap video will come with the fourth and final email. Our email notifications, exams, quizzes and recap videos are all mobile ready for anytime, anywhere access. Clients have the ability to customize the 4tify exams with company-specific content. Points are awarded to learners for successful completion of 4tify exams. These are reflected on the leaderboard and promote healthy competition. Administrators can run reports on exam questions to verify completion by designated due dates. Below is a quick slideshow of how 4tify training reinforcement works once a learner finishes a course.